Mr. Frugalwoods needed glasses. After years of competing over who could discern distant signs on roadtrips first, age finally caught up with my mountain/computer man. 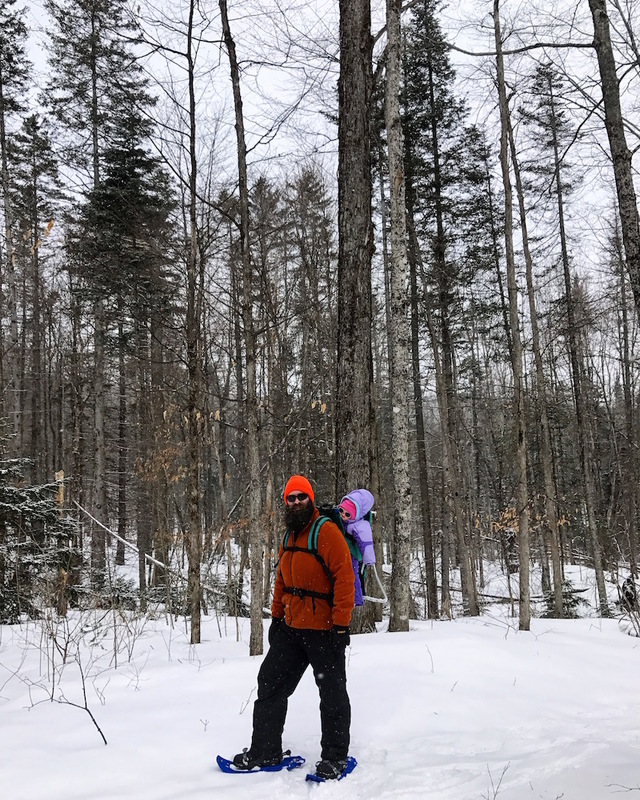 Both of his vocations–software engineering and forestry management/homesteading–require the ability to see clearly. As does, you know, life in general. Last year he started getting headaches and complained of blurry vision and so, the time had come. I sent him to the eye doctor. Verdict: his vision isn’t terrible, but it’s enough that glasses make his life better. And who doesn’t want a better life?! Longtime readers will recall that I, oh haver of terrible vision since middle school, got LASIK surgery exactly four years ago, which I still consider one of the best things money ever bought (second, of course, to our marriage license and the co-pay for Babywoods’ birth). The full rundown on my LASIK story is here: Why LASIK Surgery Is The Best $4,225 I’ve Ever Spent. TLDR: I wore contact lenses and glasses for a decade before getting LASIK and I love it, it is amazing, and I highly recommend it. Yet another reason to be frugal: the ability to pay cash (and thus secure a discount) on LASIK surgery. Hooray! If you live in the Boston area and would like a referral to the doctor who performed my surgery, shoot me an email. To continue the full circle of frugality, after I got LASIK I donated all of my glasses and unused contact lenses to my Buy Nothing Group. I posted my prescription and, sure enough, a fellow Buy Nothing member had the exact same prescription. Frugal kismet; it’s everywhere. Ok back to Mr. FW’s eyeballs… He’s not to the point where he wants to pay for LASIK or contact lenses because he doesn’t need his glasses 100% of the time. 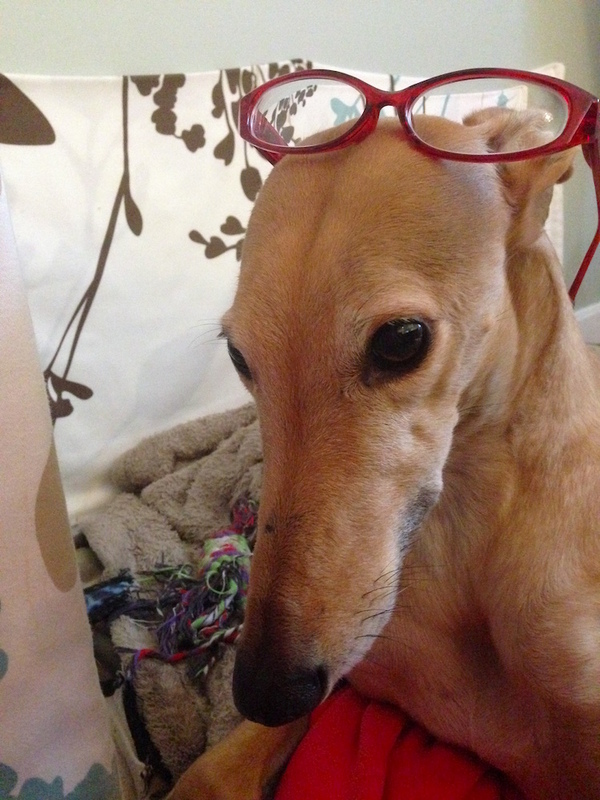 Unlike my pre-LASIK self, he can walk around a room, read, and not bump into Frugal Hound sans glasses. Following an eye exam that confirmed his less than 20/20 vision, we investigated our vision insurance and learned he could get a pair of glasses for free. We thought: Yay, solution! And so, we trekked over to the eye glass store. We told the diligent eyeglasses salesperson our insurance situation and that we wanted to get a pair of glasses that’d be covered in full. Well. This apparently is not in keeping with the business model of roping people into the store and then upselling them on all of the lovely–and pricey–glasses available. After repeatedly asking to see the glasses covered in full by insurance, and being repeatedly shown glasses that “only cost $100 or $200 more,” we finally said that we had no money (slight lie… ) and would not buy anything other than the free eyeglasses. With a huff and an eye roll, the salesperson pointed to the lowest, dustiest shelf in the display case where the “free” glasses resided. Apparently few other patrons insist upon only seeing the free options. Much to their dismay, Mr. FW selected one of these covered-in-full frames. Unfortunately, as you might’ve supposed, these free glasses were not very comfortable for poor Mr. FW’s face and after toughing it out for over a year, he decided to get new lighter-weight, better-fitting glasses. Actually, I forced him to do so because I could tell his glasses were bothering him and I know he won’t spend money on himself without prompting from his lovely wife. Having seen the exorbitant prices of glasses in a traditional optician’s office, we figured there had to be a cheaper way. Being digital frugal weirdos, we turned to our #1, chief, preeminent resource for free/cheap stuff and all other stuff too: le internet! Indeed, the world wide web has reduced prices on everything from electric kettles to greeting cards to Amazon mattresses. Magic, I tell you. There are, unsurprisingly, quite a few options for internet eyeglasses and Mr. FW ran the numbers on every website he googled across.He learned that in addition to the cost of the frames themselves, one must account for the cost of the lenses, the shipping (duh), and any other add-ons one might enjoy such as scratch-resistance and glare mitigation (I’m sure that’s not what it’s actually called, but you know what I mean). The most cost-effective retailer turned out to be Eye Buy Direct (that’s an affiliate link). I must note that Eye Buy Direct is not the dirt cheapest online eyeglasses retailer. Pre-LASIK I ordered several pairs of $5 glasses from the dirt cheapest online prescription eyeglasses retailer (Zenni Optical) and they were pretty awful. I could sort of see out of them, but they made me dizzy and it was clear the prescription wasn’t accurate. So, yeah, that was $5 wasted. This was a lesson to me in the value of finding the tenable middle ground between mammoth expense and mammoth stinginess. Knowing he didn’t want to make the same mistake I had, Mr. FW polled friends who’d bought glasses online and did research on Reddit and other online haunts where people discuss the purchase of eyeglasses. What he learned is that there’s a really loooooow tier (the one I unadvisedly bought $5 glasses from), a really high-end tier ($$$$$!!!!! ), and then a just right middle tier, of which Eye Buy Direct emerged as many people’s favorite. Mr. FW selected Eye Buy Direct because people generally reported that although they’re not as cheap as some sites, the frame construction and materials are better and worth the added expense. It appears that the high-end tier (think Warby Parker) nets you a nicer website and potentially more fashionable frames to choose from along with, of course, higher price tags. In addition to having a hilarious name, Eye Buy Direct had quite a few features we liked. Namely, Mr. FW was able to upload a photo of his face and then “try on” frames to see how they’d look on his noggin. The measurements for the frames were also listed so we busted out a ruler and measured his existing glasses and face to see how large or small each pair would be. Plus, the site lets you refine your search by the style, size, weight, and color of the frames. 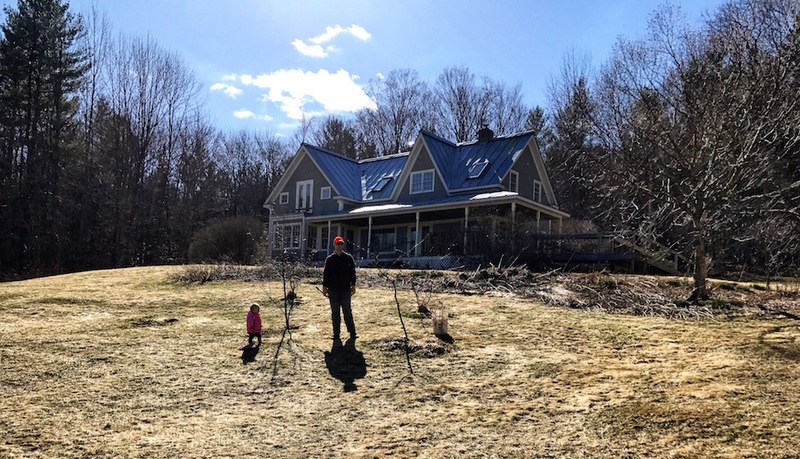 The ordering process was straightforward and Mr. FW ticked the boxes for everything he wanted: scratch resistance and glare mitigation. Allow me to explain. If you wear glasses, you still need to wear them even when the sun is blistering down on you in scalding, unrepentant rays. And there you sit, squinting like a mofo in your glasses. Or, awkwardly balancing sunglasses on top of your glasses (as a certified cheapskate, I did that for years and, in a word, it’s absurd). Mr. FW played this unfortunate glasses dance for a year and I implored/informed him to get sunglasses. There’s nothing sadder than a man trying to hike with two pairs of glasses on. It’s just wrong. For comparison, we estimate the glasses alone (not including the sunglasses) would be circa $400 in a traditional store and $150 from a high-end online retailer. Before you fling yourself into the wilds of internet eyeglasses, be forewarned that you need your current prescription, which you can obtain from your eye doctor. You’ll need your pupillary distance as well as the specific Rx for each eye (note that they can be different). Helpfully, Eye Buy Direct has a guide on all of this. But What If I Hate Them?!? I wondered the same thing!! This is, after all, a pair of glasses we’re talking about and you can’t try them on until after you buy them. Eek! But fret not, this is another reason why we chose the site we did. Eye Buy Direct has a 14 day return policy allowing you to return or exchange your glasses within two weeks after receiving them. They also have a 365 day product guarantee that allows a one-time replacement of a pair of glasses. Mr. FW’s glasses were delivered as expected, thanks to updates via email from Eye Buy Direct. They were carefully packaged in boxes inside of other boxes to prevent any nefarious en route breakage. In addition to the heaps of money we saved, we also saved a considerable amount of time by ordering online. We didn’t have to make an appointment, drive all the way to the optician, sit through their sales pitches, and try on thousands of overpriced frames while trying to prevent Babywoods from eating/knocking over all those cardboard cutouts of models wearing eyeglasses reading books while coyly smiling (no one looks like that when they read. I mean please). Rather, we reclined on the couch one evening (with our ruler), and clicked a few clicks on our keyboard. Of course, I hate shopping and can think of no worse way to use my time, so your opinion on this might vary. But you can’t deny that this is a whole lot faster! My only beef with Eye Buy Direct is that they sent Mr. FW his glasses accompanied by soft-side cases. Who uses a soft-side case to hold their glasses?!? Not people who have a toddler and live on a farm, that much I can tell you. And so, we ordered two of these hard-sided cases from Amazon for $7. A small price to pay to ensure his glasses aren’t the victims of drop and smash. The major difference between my new glasses and my previous free glasses is that the new ones are much lighter weight and are half rimless, which means the bottom rim doesn’t obstruct my vision. These glasses are more comfortable to wear, they fit my face perfectly, the prescription is correct, and I’m very happy with them. The prescription sunglasses are a revelation. Turns out, it’s really nice to not have to double-glasses it. 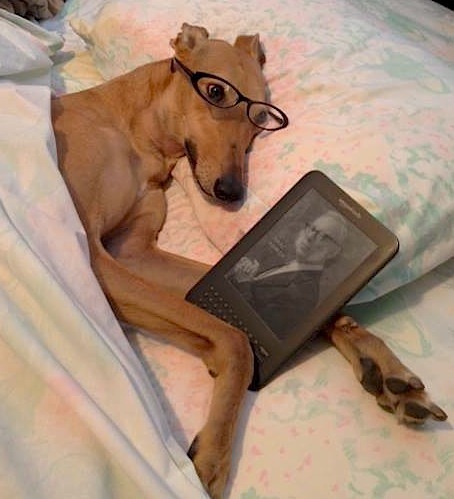 This is a dog both wearing glasses and on a mattress. I win. Much like mattresses, eyeglasses are one of those things we’re led to believe must be purchased in the hushed, somber offices of overpriced opticians. We’re taught that paying more means better quality. And that–like haircuts–we must have an expert intervene and show us how it’s done. But, just like our mattress and our haircuts, we’ve proven once again that it’s possible to frugalize in unexpected arenas. Thanks to the internet, creativity, and an ardent desire to never pay full price, Mr. FW and I find ways to circumvent the conventional, spendy path for, well, just about everything. Most stuff, we either find used, for free, or simply do without. For everything else–the things we really and truly must buy new (like eyeglasses)–we do our research, we scan the marketplace, and we find a way to get what we need for a fraction of the price. Do you wear glasses? What are your tips for saving money on frames? We saved on the prescription, but not the frames, so thanks for this! A few years ago I went to my optometrist, where I paid $170 for the visit. This year, my daughter needed glasses. Thinking about my expensive visit, I researched, and we ended up at our Walmart Vision Center, where her frames AND appointment with the optometrist for her prescription ended up just under $200. Now, I realize the best route is Walmart for the prescription, and Eye Buy Direct for the glasses. Thanks again, there is always a way to save more! I was going to ask the same question! He looks like a totally different person in the first picture. Yep :). Cooler for working outside in the spring and summer. Good for him! 🙂 No more snow, no more beard, haha. I refuse to support Luxoticca (a literal eye insurance, eyeglass maker, and eye glass store monopoly) in any of its forms so if Eye Buy Direct is not owned by them, more power to them. Thank you for this! This is perfectly timed. I have been delaying my search for new glasses because I didn’t want to pay standard prices but I didn’t know where to start in researching cheaper options. I’ve had the same pair for almost ten years now. The prescription is still fine (enough) but the fit is getting worse and worse as time goes on. Glad to see that you’ve found a middle ground between the low price/low value and the high price options! Thank you for this well written …. timely article. I thought I was the only one that was “steered” toward the more expensive selections at the Optometrist. 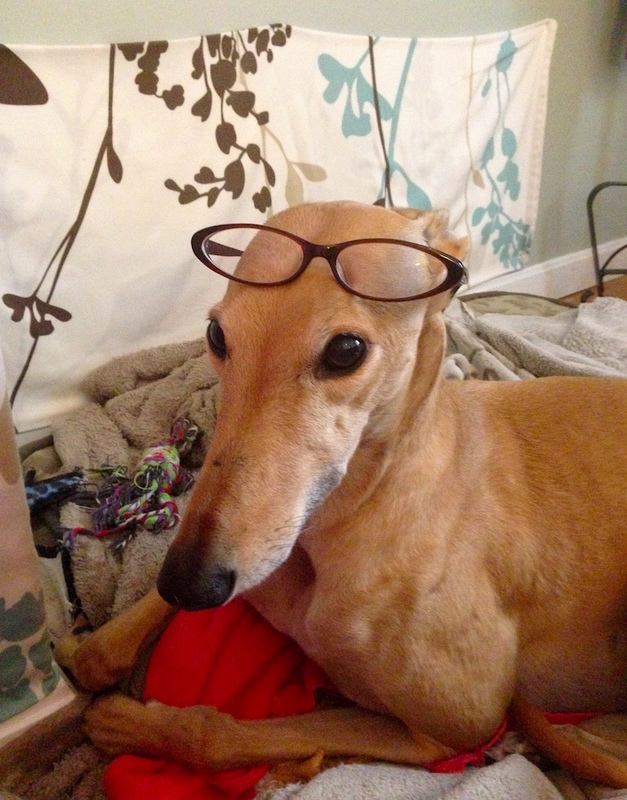 Recently switched to a new “Eye Doc” and she is fine with me using “readers”…. But DW is not so fortunate …your blog post could not have come at a better time. Her last pair of glasses were around $350 sooo under $100 for 2 pair would be fantastic…And a side note….Mr. FW looks like a different person without the beard….why the “clean shavin’ look”? I’ve been considering lasik for years but are still afraid of side effects or anything that may go wrong with the operation. I guess I need more time to gather some courage. I wear disposable contact lenses, and they cost me more than $250/year. It’s money bleeding out of my pocket. The normal contact lenses are too dry for my eyes. And I feel like glasses seem to make my eyes smaller, which is definitely not what I want. Thanks for the great article! I was completely freaked out to get PRK, but it was 100% worthwhile. I wish I’d done it years ago! Thank you so much for posting, Mrs. FW! As a glasses wearer myself, I’ve always put my specs in the “mandatory spending” basket, and just paid whatever the optician required. It was a good wake up call, an excellent reminder that some costs we think are set in stone are actually ripe for saving! Awesome! I’ve never heard of Eye Buy Direct, but have always been weary of buying glasses online, even as a frugal weirdo! As you said, what if they don’t fit? Or you don’t like them? Some things I just have to try on. But it’s great to know about their return policy! Another handy tip! If you are worried about them fitting or sticking to the same type you got last time. There are 3 number on the arm of your eye glasses that you can use as a base for sizing. Wow, that is awesome to know–I never noticed those numbers before! Thanks for that info! +1 This is really helpful info, thank you! I bought glasses from Costco earlier this year, and they’re wonderful! They have (from what I can tell) quality frames, and their lenses come with a blue coating that is supposed to prevent the harmful computer blue light waves (I’m sure there’s a more technical term for this) from reaching your eyes. Since I’m not FIREd yet, my eyes definitely thank me after my 10.5 hour days in front of the computer. It’s like blue magic. Side note: the Costco eye sales person tried to get me to buy polycarbonate lenses because “they are thinner, will be lighter, and won’t weigh your face down all day!” Now, I don’t have much of a correction (2.00), so I asked to see a chart of how much thinner the polycarbonate lenses would be than the basic lenses. Turns out, the chart only started showing the difference at corrections of 4.00. My BS sensor (which much reading of this blog and MMM created over the last nine months) went off and I passed on the polycarbonate lenses, which would have added something like $50 to $70 to my glasses. I’ve been wearing my glasses for a few months and they are not “heavy” at all. Since my insurance company picked up the frames and only made me pay a co-pay for the basic lenses, my total cost for glasses was $26.75. Yay Costco! In all seriousness though, as an “insurance newbie” recently aged-out of my parents’ health/vision/dental insurance, I was absolutely shocked at how much effort it took to purchase a pair of glasses and do it in a frugal way. 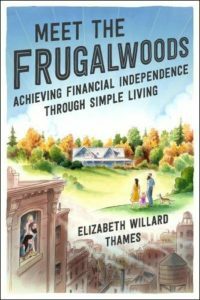 Ms. FW’s post gives me a lot of comfort – if the Frugalwoods had to spend a bunch of time researching this issue, I was right to do so too. I hear you on the insurance thing–when I got my own health insurance several years ago, I was shocked that my glasses were only slightly cheaper with a discount from my insurance and contact lenses weren’t covered at all. What the heck is the point of insurance?? I’m not sure if this is justifying it, (as in trying to excuse the expense because I’m an idiot…), but: I am 51, very short-sighted since my teens and now also need reading glasses. I’ve been wearing vari-focal lenses for about six years – gradation of the prescription from my “looking through the centre bit of the lens” short-sight prescription blending down to my reading prescription at the bottom. I’ve had expensive lenses for the last three years, and they haven’t worked for me. Sooooo: this time my optician told me that my eyes had (again) changed a lot in the past year. With aging, my short-sightedness is reducing (i.e. improving), but my reading prescription needs to be stronger. She also said (and this is relevant for so many of us who spend hours on a computer) that I need “occupational” glasses. I’d never heard of these before. The reading prescription is the same, but the short-sighted prescription is set so that your optimal visual acuity is at computer-distance length. Look away to the other side of the room and they are a bit blurry. Amazing. Truly amazing. My end of day tired eye feeling is so much better with them. I’ve taken to wearing my “proper” glasses on a chain around my neck. My employer will pay for the lenses only on these occupational glasses, plus the £35 cost of my eye examination/glaucoma tests/fields of vision tests etc., so I will get £251 back from them. My “proper” glasses: OK, I went all-out on them. Hand-made varifocal lenses by Seiko. Utterly brilliant lenses. Never had such sharp, amazing vision before. I’ve gone for a frameless pair of glasses, which were silly money (but hey, they are on my hog 16 hours a day). The less “frame” there is, the more you pay. These are so unbelievably light I forget to take them off. What I am surprised by in Mrs FW’s article is that the glasses fit so well. These two new pairs took ages to get right – the arm on one pair was adjusted but after two days, I’d developed a sore spot on the top of my ear. When I collected the other pair, the dispensing optician spent twenty minutes adjusting and readjusting the nose pieces and the curve over the ear to get them fitting perfectly. As I’ve typed all of this, I’ve realised that it’s actually proof of what the Frugalwoods stand for: I save every month for dental and optical costs, and I’ve always got the money to pay for what I need and want in both these areas. Given that I’m pretty much an appearance-phobe (no make-up, basic haircut, useless at choosing stylish clothes, so I’ve just given up on it all), the vision and comfort from these glasses are …erm…eye-openers. Well done on finding your optimal solution, Mrs FW! Probably less an up-sell than simple ignorance, especially at Costco where he’s likely a simple hourly employee. For those of us with coke bottles that extra is money well spent and he didn’t have the knowledge to know what you figured out: at lower prescriptions it just isn’t worth it. I’m feeling you guys on the prescription sunglasses. I actually dreamed last night that someone stole mine (right off of my head!) and it was a nightmare! Rachel, Is there something that scares you and your have been trying to shield yourself from and someone is trying to wake you up about it? That’s what that dream seems like it means. Thanks for this! My husband and I both wear glasses (and in my case, contacts as well), so this could save us some real money. I would really like a pair of prescription sunglasses for swim time and for when my eyes are tired and I don’t want to wear contacts but need to be outside, but the cost kept me from it. I’ve been wearing clip-ons, which like to fall off at the wrong time. And my husband is soooo hard on glasses, an extra pair would be fantastic. I’m going to check this site out! I totally agree with Mr. Frugalwoods about the half-rimless glasses. My vision is awful (so bad that I put on my glasses to walk from the bed to the bathroom in hopes of not stepping on the cat), but my field of vision is great, and the rims on the bottom drive me nuts. I’ve worn half-rimless for a very long time. Funny that you should bring this up today – I’ve got an eye appointment tomorrow to beat the cutoff for our weird reimbursement vision coverage where I work. The plan year changes May 1, which coincides with nothing else. I’ve been trying to decide where to actually get the new glasses, which I do need, though I don’t really need new frames. My prescription though, is a bear, along with gradient bifocals, different pupillary distances, and astigmatism. One more thing – even an expensive lab can screw up your glasses. A number of years ago, after getting new lenses, my new glasses were making me sick to my stomach. They’d helpfully averaged the pupillary distances, which did not work for me. Also once, I found I was sitting at the computer with my head tilted way back. They’d squashed the whole gradient bifocal area into maybe the bottom eighth of the lens. NOT! I used Eye Buy Direct just to purchase frames, because my insurance would cover lenses but the fully-covered frames at the eye doctor were absolutely terrible, similar to your experience. My frames from EBD are fantastic, my favorite pair of glasses I have ever owned, and only cost $20. I ordered two pairs so I could try them on and pick the one I liked better, and they let me send one back with a full refund… then I took the frames I picked out to the eye doctor and they put lenses in them for me. EBD is high quality and reasonably priced. Oh good! I’m so glad to hear you were happy with EBD too! I am not able to get Lasik surgery. It won’t work for me, which is fine because I love to wear glasses. I view them as a fashion accessory enabling me to see better! I am not getting paid for this–I am a huge fan of Warby Parker. Most of their frames are made in China but I’ve managed to score a pair of Italian made prescription sunglasses from them for around $200. Most of my glasses from WP cost $125 total, which is a bargain because they are well made and they stand behind their product. Plus, when you buy a pair for yourself, they give a pair to someone in need! I will never buy eyeglasses from a traditional store again–not as long as I can buy online without any problems at all! Discover which size frames fit your face best–then buy online with a prescription from your eye doctor. Great article. I considered LASIK surgery for a while and then watched a video of it being performed. It totally scared me off. I solve the problem by wearing disposable contacts during active sports/activities when the risk of breaking my glasses goes through the roof. My vision borders on legally blind without glasses!! I have been wearing glasses since the first grade and I am 50. These days I wear progressives and will splurge on the best lenses (the one with almost no fuzzy lines as your prescription shifts). For me the cost is absolutely worth it since I use my eyes all the time!! I have never purchased glasses via the internet, but maybe it is time to try. I would really love some prescription sunglasses for driving. Very interesting…did you worry at all that the measurements would be off, causing vision that’s not quite right? I might try this for myself in the future, but I cannot bring myself to try it for my 11 year-old. Her vision changes rapidly (thanks, bad genetics! ), and I get her glasses redone multiple times a year at Lenscrafters (*gasp* from every frugal person on here I’m sure). Yes, it’s really, really expensive. However, I have zero doubt that they’ll get it right, and they’ve always really done right by us. Eyeballs are the one thing I’m way too afraid to go frugal on, although maybe I’ll change my tune if enough people seem convinced that it’s possible to do glasses right online. So the great thing about Eye Buy Direct is that you can return the glasses for free if they’re not right. That assurance made us confident in ordering them. We have been buying glasses online for years–7 years to be exact. I just got a new prescription and purchased from Coastal, but we’ve used a number of other sites and paid anywhere from $15 to $65 depending on which particular frames we wanted. We don’t pay for vision insurance anymore because it’s less expensive to do the discounted self-pay exam and then buy glasses online, only when our prescription actually changes. WHAT HAPPENED TO YOUR HUSBAND’S BEARD??? I know not everyone likes them, but I am hooked on my Transitions. With my boys ages 6 and almost 5, I have had enough to carry this last few years, thankyouverymuch. And because, like Mr.FW, my vision is not very bad, I can take them off while I wait for them to change back. Using my vision insurance, I got a nice pair of transitions for about $140. There was a decent selection of free frames, so I only paid for my fancy lens options. BUT then my prescription changed quickly and new lenses were not covered. The optician was going to charge me over $200 for new lenses! Nooooo! Enter Costco. I highly recommend Costco if you really need to try on glasses (first time wearer, for instance) and don’t have vision insurance. They were able to replace my lenses for about $100, which is pretty good for non-glare Transitions. Woah! The Beard is gone! What a change! He looks great in his stlyin new frames. I have worn glasses since the tender age of 8. Wire rimmed, plastic frames, half rimless I ‘ve had them all. The glasses I had to wear in basic for the military wear the WORST. Google BCG’s if you’ve never seen them. I usually wear contacts now though and love them so much more. No fogging over when I step outside in the summer, no having to clear rain, dust, and whatever else off all the time.. glorious. I get my contacts from 1-800-contacts and they’re pretty reasonably priced. About $200 for a year of worry free vision. I wish I could justify Lasik, but not right now. My most recent glasses and sunglasses were both from Warby Parker. They were noticeably cheaper than a traditional shop but more than the place you found. What’s nice is that you can pick five frames at a time to have shipped to you (with plain glass) to try on… You can do that as many times as you want, with no requirement to buy, just return the frames within a few days (all free shipping, though that cost of business is obviously amortized). Mine are now a couple years old and holding up great. My work insurance covered most of the cost too. Oh wow, this is so timely! I’m blessed to have good vision and don’t need glasses yet, but Mr. Picky Pincher does. His prescription has changed in the last year alone, so we’ll need to get him some glasses this year. Thanks for the heads up about this service! I’ve bought my glasses online for years! Great deal! But for my son who has bad vision, I like to buy in person for various reasons. We recently discovered Costco has the best deal. I was mad at myself b/c I didn’t think of them earlier- oh the money we could save over the years, but at least we know now. He’ll be the perfect candidate for LASIK, so we’ve offered to pay for it as a graduate from college gift. 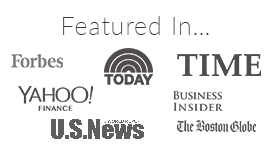 We’ve used Eye Buy Direct with much success. We’ve ordered several pairs over the years, and even when I sat on a pair I was able to get them replaced for the shipping cost only. I recommend them as well to anyone interested in saving a ton on eyewear. My husband loves his better than the highly overpriced pair he had from Lens Crafters! Thank you!!! This could not have come at a better time. I desperately need new glasses but have put it off because of the price (I wear blended lenses) and also the nerves of having to try on over priced frames when I can’t see how I look in them! You folks do a genuine service…God bless you! When I was a student, I went to the optometry clinic at the university. Super service from the students (supervised by their prof, of course), and a much-discounted rate. Plus, the students are very grateful for the trust showed, and the experience they gain. Ha! This article is so timely. After about 15 years of the same pair of glasses, I recently started the search for a new pair. Or ask started when we went to an optometrist who was a family member because we would be getting a family discount. Will even with the discount I was looking at $250 for a new pair. No thanks. Like you, I turned to internet shopping. I finally decided to try Want Parker because I liked the idea of trying them on before you buy. The process for getting my five trial pairs was simple. Unfortunately, I didn’t like how the styles I ordered looked on me. Regrettably, all of the parts I ordered we of similar style. WP also has retail locations if you are fortunate enough to live near one. I’ll have to give Eye Buy Direct a closer look. Bottom line as you have pointed out… Being an informed consumer regarding glasses, or anything for that matter, saves you money. The cheapest product is not always the most frugal choice. I recently had to acquire my first pair of glasses. I’ll be sure to check out Eye Buy Direct next go-round. As usual, thanks for sharing great frugal finds! If it’s any consolation to you, even with LASIK, once you get to about 50 years old, you’ll still need reading glasses! One more data point : I used eyebuydirect this winter for two pairs of glasses that I got for $52 shipped. A week later there was a 50 percent off coupon. However, I have to be honest, I am more than happy with the quality at 25 bucks. The frames are gorgeous and they are comparable to the original frames that were “$400” before the insurance subsidy. It boggled my mind when I first discovered that glasses didn’t actually cost 300 dollars. Great post! Thanks, Mrs. Frugalwoods! My husband spent 110 at GlassesUSA. The first pair was too small so he returned and re-ordered. The whole process took a long time but he loves them. After years of online hunting and terrible in-store experiences, I was thrilled to give my money to Warby Parker. They are actually one of the least expensive options if you need the ultra high-index lenses. Most companies (even your friend Eye Buy Direct) charge a premium for this — EBD was a whopping $80! Warby Parker charges just $30 extra. Even with a higher-priced frame, Warby still comes out the same price or even less expensive for my particular needs. Just throwing this out there for any fellow readers who are excitedly rushing to Eye Buy Direct’s website, only to find it is still pricey when you factor in special lens needs. Plus, I like the buy one/give one philosophy that Warby Parker has. I feel good about buying from them, even if they come out slighty more expensive. Thanks for this comment! I’d just gone through experimenting with putting glasses in the cart at EBD and couldn’t believe how much more expensive they were compared to Frugalwood’s experience: $100+ for one pair of sunglasses. I’ll check out Warby Parker and see if that changes it. I do think it’s cool that they offer those blue-light filtering glasses, thought. Maybe we’ll eventually get some of those. I have been buying from Zenni Optical for 10 years. There are 4 of us who require glasses. Since I discussed it with my eye doctor beforehand, he asked me to please bring in the first new pair of glasses for a “free” check. They passed so I kept them. I take any new glasses in and have them run them through just to make sure. They also give us our pituitary distance which can be difficult to gauge. 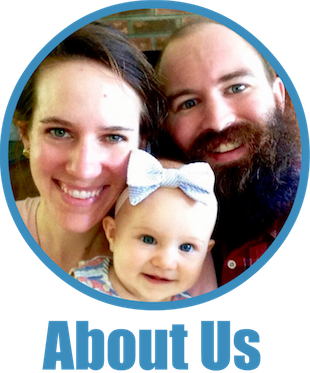 We were in a situation at the time where we had very little money and this helped us through it. But always be careful with an online provider. We did get a free pair of glasses from a place called USA direct and the RX was wrong and we couldn’t get them to fix it. Good thing it was free. Awesome, I’ve been looking for a better option ever since my wife went to a big box optical store. The salesperson quoted $600 for the glasses and this is with a $200 off “coupon,” my wife had a look of shock and the lady asked what did she think glasses would cost! I feel the same way about mattresses. Love that the online stores are turning those industries…I mean monopolies! My husband just bought a pair of glasses (with bi-focal lenses even!!) from Eye Buy Direct and they are fantastic. I think we paid about $75 for them, and so many people have complimented him on his “fancy” new glasses. A couple of our more spendy friends were shocked when he told them they weren’t massively expensive ones from an Eyeware Boutique 🙂 The last time we purchased glasses from our Optometrist is was so frustrating, what with the constant upselling and the pressure to only try on the high end designer frames. This is definitely the only way to go for us. Perfect timing for me, I need to get a new pair of glasses! I’ve been riding on two pairs of zenni glasses for the last five years, but it’s time for a fresh pair. I’m going to look into eye buy, but I had no problem with zenni. Luckily I also have a light perscription. If a person has a more complicated perscription (stigmatism, etc) it can really add up, even online! Clearly contacts is another good option, sometimes they have promotions “first pair free” and easy return policy, if I remember right. As a fellow almost blind without correction frugalista, I used $39dollarglasses one time for a backup pair (at the time I travelled extensively and left one in my work suitcase) and to try it out. With a coupon code, I think we spent all of $10-15 to risk the service and was pleased with the glasses, but they are not the same quality as the Optical shop. I would definitely do online again with a return policy, and definitely look for coupon codes! I have worn glasses since age 9, and I’m almost 47. So a long time. Alas, I’m not a good candidate for LASIK (corneas too thin). Could do PRK, but not enough vacation time for recovery. In any event, every two years I used to get new glasses locally. And you are correct- my chosen eyewear at my doctor’s office clocks in at about $450. After insurance, it comes out to $250. A small price to pay to be able to see. I’ve now purchase about 5 pairs of glasses over the last few years, and I do love them. I have 2-3 pairs of “backup” glasses at $29-39. I have one pair of prescription sunglasses (yes these are amazing!!! It’s very sunny here.) And most recently, I bought my first pair of, gulp, progressives. These were actually $99, but when I priced them at the doctor’s office, they were going to be over $300 after insurance. I could have even paid for them on my insurance, but didn’t bother. The progressives are working fairly well for me. I’m still getting used to them and of course, my near vision is changing rapidly. I am due for another doctor’s appt. I wore glasses, and hated it, from age 13 until I got cataract surgery several years ago and now have the pleasure of a life glasses-free and the ability to wear any sunglasses I want. That said, I solved the sunglasses issue/need by getting lenses that have been variously called photo sun, photoultra, and probably some other things. The regular clear lenses in my glasses were made to darken as the sun brightened. Living in LA, this was absolutely wonderful and obviated any need for a second pair of glasses, the expense of which I could never make myself incur. Now I wear thrift store Maui Jim’s I bought for $25 and they are the very best sunglasses I’ve ever tried–colors are amazing, frames are solid. These are very spendy to buy new, but my thrifting buddy found them and sold them to me cheap. Ebay also is a good place for them although it will be more costly for sure. My husband has used Zenni very successfully for several years. But, it is great to know of other options. This is kind of unrelated to this post (except that you mention it at the bottom), but I wanted to tell you that my husband cut my hair this weekend! I used to spend $90 on a haircut 3x a year (which is know, is INSANE) and I don’t even do anything special to it. So, although my husband was reluctant and very nervous, he cut my hair and I swear it looks the SAME as when I spend the $90. I credit you with providing the inspiration to finally do it! Not only is it a $$$ saver, it’s a time saver too!! Thank you! That is fabulous! So happy to hear it :)! Going to try EBD for husband for sure! I had Lasik many years ago and i agree it was the best thing I ever did for myself!! Love the beardless Mr. FW…how handsome! If you strongly prefer to try on glasses rather than buy online, I recommend Costco. Their prices are quite good (but not as cheap as some of the online retailers). However, if there is a problem you are covered by the awesome Costco return policy. I ruined my expensive high-index lenses by wearing them in a sauna (the metal frames heated up and cracked the lenses – who knew?). Even though this was totally my fault, Costco replaced the lenses for free. I have had good luck with Zenni Optical. The prescription seems accurate to me. My only concern is whether they actually block UV rays (they’re sunglasses). I have never had them tested, but really need to. I lost my previous pair of (half-broken and uncomfortable) glasses on an international vacation. Since I only wear them at night or as a backup to my contacts it wasn’t a big deal but it’s been almost six months and I’m getting to the point where I would like a pair of glasses again, at the very least to read in bed. (I have terrible vision. So bad I can’t get LASIK, ugh!) So this was rather timely. Thank you! There is one really awesome place in Northern Virginia (used to be one in Rockville as well, but it closed) that has New Old Stock designer glasses from the late 70s/early 80s. My sunglasses came from them! They are Balmain and I paid $79 for the appointment, frames, lenses and tinting. Can’t beat it!!! They always do a good job putting lenses in vintage frames. I’ve had my current frames since I was 16 and got them at the thrift store for $2.95 and paid under $90 for the lenses (I get the lenses replaced as needed). The same ones sell on Etsy for $150. This post came at such a good time! My son just went to the eye doctor and needs glasses, and we’ve been researching online options. We were leaning toward the expensive online option, mainly because we hadn’t heard of other options, so I am so excited to go research more! Thanks!!! I have to update my comment and say I just ordered my son’s glasses online and, with shipping, they came out to $32.11!!! I am so excited! Thank you Mrs. Frugalwoods! I once was able to get free frames, paying for only the lenses, when my optometrist offered me my choice from a pile of last-year’s-models that he was about to get rid of. I found a pair that I liked much better than the current year’s models! Thanks for this info! Last year, I went to my local lenscrafters to buy a new pair of prescription sunglasses. My old ones were 7 years old and had seen better days (they are now my “swimming pool with the kids” sunglasses). The prescription was fine, I just wanted new ones. Well, I was informed that it is a law in California that if a prescription is more than 2 years old, they cannot sell me prescription glasses without a (pricey) exam. A LAW! I said, but I am sure this prescription is still correct. It’s only a slight prescription, I pass the DMV vision test without glasses, the prescription just makes things in slightly better focus. They said, sorry, it’s the law. I had the (pricey) exam, and lo and behold, my prescription was the exact same as before. Then they sold me my pricey sunglasses. Ugh. I am going to try this online idea next time, I don’t know why I didn’t think to look into that, I research everything else online! We have a similar law in Virginia except its every YEAR that you need an exam. So annoying. Eye exams are more than vision exams! They can detect diabetes, high cholesterol, and also see if you are at risk for a stroke. Also check your risk for eye disease. I have several pairs from Zenni and they are fine. Maybe they got better since you tried? I also love having prescription sunglasses that I don’t have to stress about (I have four little kids, so $300 glasses are just not fun). Funny enough, the $30 ones have had no incidents – yet. At the same time, my husband bought a pair from the eye doctor’s shop, and they were a mess, the not polished properly on the bottom, so rainbows in his field of vision, something else wrong too. They did fix it all, but it was a pain. My cheap glasses were fine. I also liked that I could have a fancier occasion pair, an everyday pair, and sunglasses for less than I would have paid, with insurance, for what I liked in the office, which was nothing fancy. 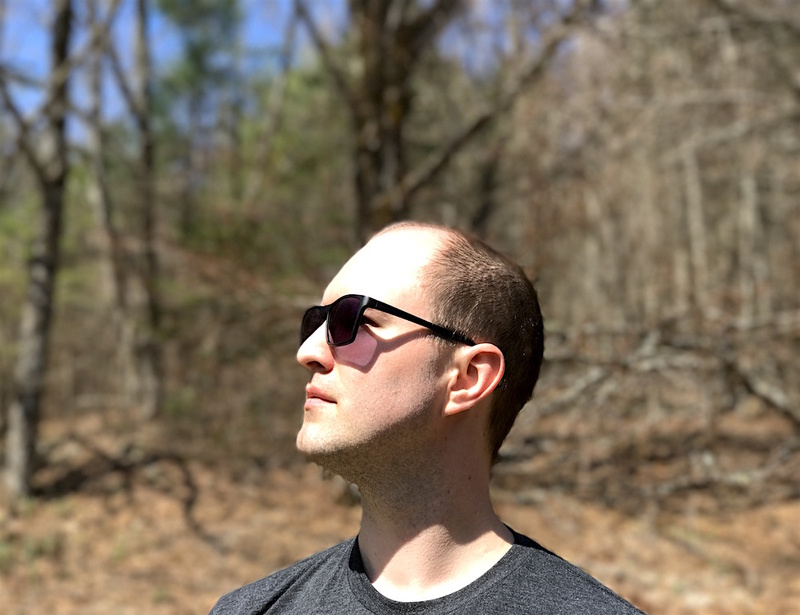 My sister’s boyfriend, an eye doctor, says there is a wider variation in the quality and accuracy of online glasses, but my experience was very good. We will order there again. Another plug for eBates! Looks like they do 5% back on Eye Buy Direct. I order my contacts through Vision Direct, and will usually strike when eBates hits 16% back – quite a steal when your contacts are $$$. I purchased frames + lenses from Warby Parker last year. For fellow readers with terrible vision (-6.5+), I will warn: the lenses didn’t work out very well. There was a clear difference in quality over what you can get at the optometrist. So, kept the online frames and went with the pricey lenses the following year. But being able to see clearly and avoid eye fatigue are worth the $! I’ve been wearing reading glasses for a few yrs now. My portion of my glasses after insurance is $214. Plus the monthly insurance premium. I really like my colorful, European glasses, but next time I’ll check out online. I’m wondering if getting eye surgery for $10k is worth it. Not being able to see everything is a hassle. My friend who is 56 doesn’t wear reading glasses because he paid $10k for surgery to fix it. Love the beard-free face and the new glasses. Chiming it so say I love, love, love Costco Optical. Nothing beats in-person fitting by a trained professional without paying through the nose for it. Their always reasonable prices have recently come down and their packages are more inclusive, so they’re worthy of another look. Slight chuff to you , Mrs. Frugalwoods, for purchasing eyeglass cases! I always have extras lying about and it you’d asked on NextDoor or a BuyNothing group, I’m sure you would have been deluged with offers for unused cases. Please make a teeny, tiny note for next time. Because I am going to be early retiring soon, we are in the process of spending down our FSA Account. We are looking to buy our glasses at a different kind of frugal compromise, Warby Parker. They are online and we are lucky enough that we can actually go into one of their stores, locally in Nashville, TN, and get our eyes measured for the right sized glasses. I have never tried contactsdirect.com, but contact lenses are pretty much a commodity to me if they have my brand. For a $40 statement credit, I would be willing to try them out. For the glasses though, Warby Parker will mail up to five frames to your house to try out, at no expense to you until you purchase them. We will go into the store though, since they have a local shop. Also, for those without vision insurance or looking for a deal, I get my eyes tested online each year at http://www.opternative.com. For either a contact lens prescription, or a glasses prescription, they charge me only $40. For a combined prescription, they charge $60. You can take their exam with a smart phone combined with any PC. It’s really easy once you get the hang of it. For $40, that price is hard to beat. Do the eyeglass providers accept the RX from the online test? Oddly enough, I have gotten United Health Vision to accept my test as out of network and gotten reimbursed two years in a row. This year it was denied the first time, but Opternative added a “CPT Code” (medical coding) to their prescriptions, and once they did that, I pointed it out and to United Health and got reimbursed immediately. I also have heard from Opternative that adding the “CPT” code was also helping people get reimbursed from their FSA Accounts as well. I’ve been buying my glasses online from selectspecs.com for about 10 years and never had a problem. One thing Mr Frugalwoods may want to consider is getting transition lenses? I always used to hate having to carry two pairs of glasses one for indoors and one for outdoors and switch between them. 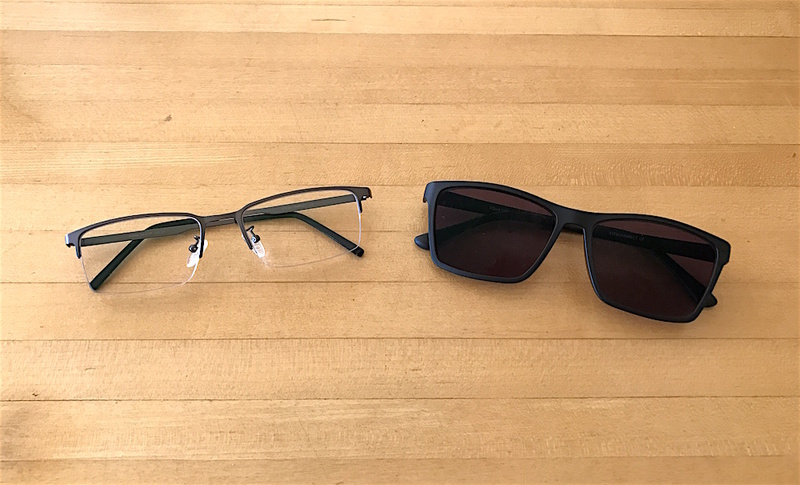 With transitions I only need the one pair, although it is a little difficult to find glasses that look good for both indoor and outdoor use. I ended up going with semi rimless Oakley Wingbacks, transition lenses made out of trivium. I’ve had them for about 3 or 4 years now with no hassles. Someone once stole my prescription sunglasses. They probably didn’t realise that they were prescription and, as they were for my eyes, probably just tossed them away. Lucky for me my health insurance comes with 1 free pair every 12 months so l could replace them. It was an interesting exercise getting to the optometrist on that bright sunny day sans glasses. Another Zenni Optical fan! My $12 glasses are better than pairs I have gotten in at locally! I’m wondering if Zenni has improved a bit. I have four pairs of Zenni. 3 of the 4 seem to be holding up and have no appreciable difference to the two hundred dollar doctor purchased pair I wear otherwise. It could also be my prescription is fairly normal? The fourth pair had the nose pieces fall off by the way. Thank you for the writeup. It is a good guide to have handy when my son breaks his current glasses. BTW, Instead of sunglasses could you not have gone for transitions? They automatically turn dark outside in the sunlight. Do the “eyebuydirect” have that option? Where did Mr. Frugalwoods beard go? One thing that I don’t think others have pointed out is that many eye insurance companies will reimburse for out of network purchases – I got something like $75 back for my Warby Parker glasses and they were only $95 to begin with! I even got reimbursed for my prescription sunglasses, which as you mention, are a lifesaver. Something worth investigating! I have had great experiences with Zenni. In all, I have ordered 5 pair of glasses/sunglasses. My vision plan pays for eye exams plus lens/frames but had the same experience as Mr. Frugalwoods. The free frames were awful and there were expensive “add-ons” that they suggested I buy. I took my prescription and ordered from Zenni. I am only far-sighted so maybe that is why Zenni works for me. Never a disappointment and always fast shipping! 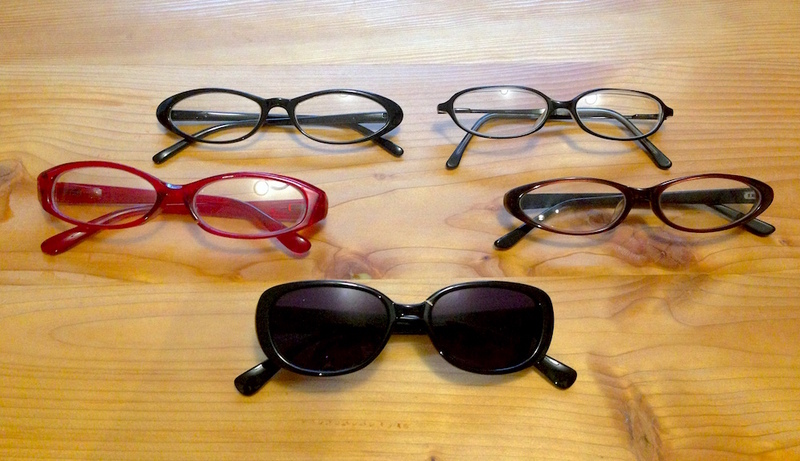 We recently used Eye Buy Direct for my husband’s glasses and very complex lenses. Not as cheap as yours, due to the complexity, but still a great deal and we are very happy with the quality. We still pay for vision insurance from EyeMed to cover our exams, plus there is a huge bonus for anyone like me who has “medically necessary” contact lenses. EyeMed covers these lenses in full. So for $35 a month we get an eye exam for each of us and I get a $700 pair of contacts. Private vision insurance is generally not a good deal, but if you have really awful vision and fall into the medically necessary category, it’s a bargain. I’m going to bookmark this for when Mr. BITA needs a new pair. I had glasses and eventually contact lenses from the time that I was 5 till I turned 26. Then I had LASIK done, and have been happily free of any eyeball related assistance for over a decade now. I’ve had the same frames, Flexon, for around 12 years. They’re okay, but starting to loosen a bit, my left lens fell out a couple times while cleaning, which is why hubby tightens that screw a little now and then (I can’t see it without my glasses on, LOL). Why are my frames so old? Two reasons – one, they looked fine 12 yrs ago and look fine now, they’re not trendy in the least; two, my lenses ALONE after insurance run between $650-700. Two wildly variant grindings both with lineless bifocal, prisms, glare protection (I can’t drive at night anymore due to headlight and streetlight glare and it’s gotten iffy in the early a.m. and at dusk). There’s only one place in my state to even have them made. HSA helps, but when you max that at $2500 a year taking the risk that nearly 1/3 of that will be eaten up by one pair of lenses, ouch. 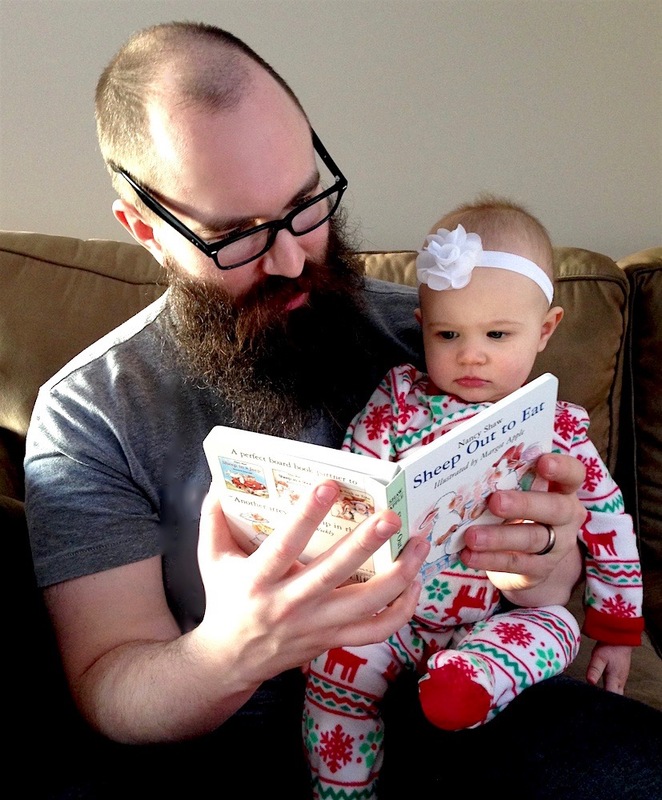 Hubby and daughter wear glasses, too. I buy my glasses at Costco. I get top of the line lenses because I am practically blind. I got two pairs of glasses last month, one regular and one sunglasses. The frames were designer because they looked the best on me and if I am wearing the glasses all my waking moments, I want to look my best. I could never come close to measurements that the opticians do so I always order in person because fit is extremely important to me. Out of pocket I spent $109 for both pairs which means 15 cents a day over two years. We have purchased 10 plus pair of prescription glasses from Zenni over the last 8 years. They were all perfect except for one pair . I ordered a set of bifocals that were wacky. My optometrist told me that frames that are narrow from top to bottom may not have enough room for an accurate bifocals prescription. Even with rush shipping and bells and whistles, we never paid more than 35.00. If course we are not into fancy names or styles. Our free pair covered by insurance was limited to about 6 pair of frames that looked like old military issues make fun of you kind. Jenni has made it possible for my children to see, be cool , and not have hurt feelings. I also used Eye Buy Direct and just received my glasses this week. I spent $40 total and they fit perfectly. They arrived in a timely fashion, right to my door and the website was very user friendly. I liked the e-mail updates to let me know what stage of the process they were at. I would agree the only thing I’d change would be the fact that they didn’t offer hard covered cases. This was a second pair of glasses for me as I wanted a pair to keep at work. I had nothing to lose so this was a perfect option for me. I still can’t belive I have a new pair of glasses for less than a tank of gas. I got my first prescription sunglasses many years ago. I now have what Mr. FW may choose in the distant future – Prescription BI-FOCAL Sunglasses. Yes they are available, and the embarrassment only lasts a little while. Highly recommended to those in need! For your cost from Eye Buy Direct, does that include any discount or coverage from your vision insurance? Thanks for clarifying! 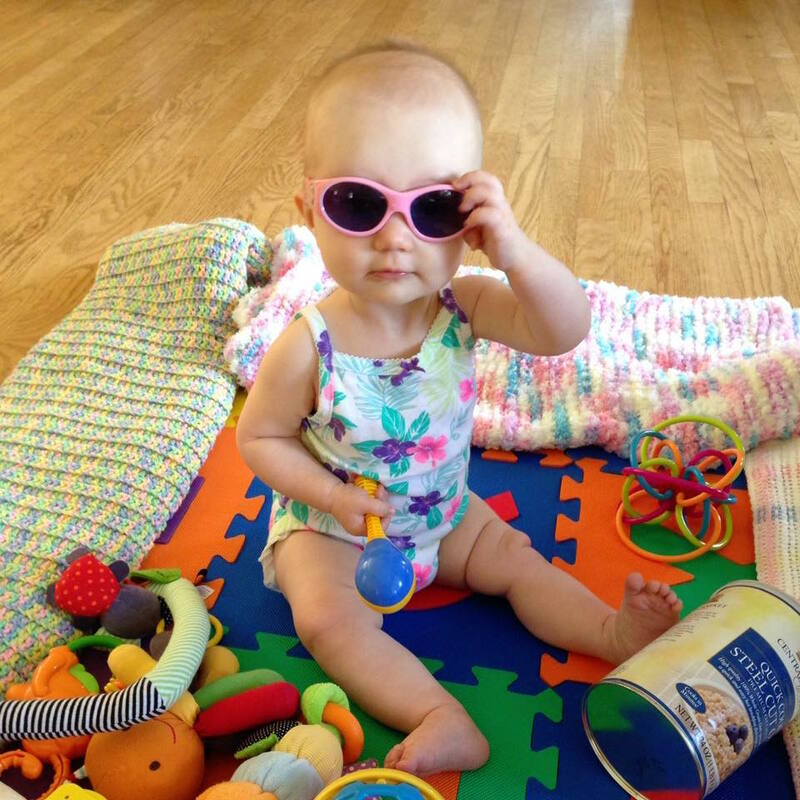 And I agree…prescription sunglasses are life-changing. I made the switch from wearing contacts (which are expensive and wasteful with all that solution and having to buy disposable lenses) to just glasses once I got some RX sunglasses. I was dreading the $$$ of glasses but knew there were online places that sold for a fraction of the cost of the retail opticians/optometrists. Any issues with fit? 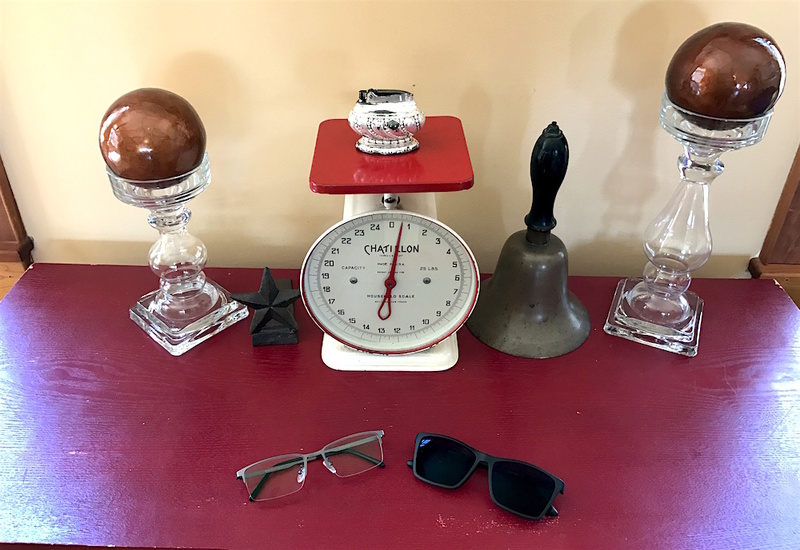 Was it easy to determine what width glasses you need (or whatever size parameters that glasses come in – you can tell I have no clue how to shop for glasses online 🙂 ). A word of caution: My glasses have/had an anti-glare coating and after one year, almost to the date, the coating peeled and wreaked havoc with my vision. I was driving from Boston to Philly in about 10 days and was frantic. I took them back (Sears, I bought them on a “2-for” special) and charmed the clerk into replacing the lenses pronto, no cost to me. He informed me that if you use the premoistened wipes that are sold for cleaning the lens, this often happens (Google it, it’s true)..Planned obsolescence? They did replace them but now, 7 months later, the companion pair of sunglasses from the 2-for sale have started to do the same. I was addicted to the premoistened wipes and they were probably a contributing factor for my regular glasses but I seldom used them on my sunglasses. Couple of questions, are Mr. Frugalwoods glasses bifocal? Progressive? I tried buying from Zenni Optical and I think Eye Buy before my Rx became somewhat complicated but I had difficulty with the PD measurement using the paper-PDF that some sites provide. I actually bought a tool to measure PD on eBay but I haven’t used it yet, it was only a couple of bucks but I mistakenly got one that was being shipped from China and it took forever to get here; they are available shipped in US too. cheap! I see the ophthalmologist in July and know I need both pairs replaced (daily and sun). I found that the opticians don’t really want share your PD with you; at least that’s how it seemed to me and I’ve been to several places. Another note: If you already have frames that you deem as comfortable for you, the measurements are written inside the side arms, so look for a pair that conforms, or conforms closely with these measurements and vice versa if you have some which you don’t like the fit, don’t get those measurements. The sites instruct how to read these measurements.Sorry for the lengthy post but I am now on Medicare, retired almost a year ago, and they don’t cover this expense so I’m looking for a frugal resolution. I have a terrible time finding frames that look decent on my small face (yes, I’ve shopped in the kids’ section), so I will go to the high end retailers to find a frame, then copy the info and shop for the same frame online (I was once quoted nearly $700 locally for a pkg that was ~$200 online). I’m in Canada, and have had good success with Clearly Contacts. More recently, I’ve found great frames in clearance areas of local stores, and Superstore in Canada has awesome sales. They will put lenses in frames you bring in, even during their 50% off sales. I’m a fan of clip-on sunglasses as well; they save me having to lug around a 2nd pair. I second an earlier comment about not buying new glasses cases; you’ll often find lots of them at thrift stores. After reading your post and the comments, it’s never mentioned how the frames get adjusted to fit your face; or am I the only lop-sided face in the world? haha Everyone’s ears/eyes are not perfectly level so how did everyone “level out” their glasses to fit their face? Some stores will adjust your glasses for a $10 fee. Awesome! I’ve been debating my options. I did really well with Zenni a while back, but then later I got another pair that didn’t work for me. I just got a new pair of free glasses for distance that I don’t love, but I need sunglasses, and insurance isn’t covering reading glasses, so I could use those, too. Ah, the live of the glasses wearer! I’ll check this out – thanks! I received mine last week. I love the glasses. I am not a fan of the sunglasses and will be sending those back, but the glasses are such high quality! Glad to hear the glasses will work out for you! And, glad that they have that free return policy for the sunglasses! Another timely reminder to be frugal in all purchases. We’re not currently looking for glasses but are getting Mr Miser road safe for rainy cycling. I’ve been considering something like this. I do wear glasses, but my vision is not completely terrible. I usually take them off when I am at home. I detest going to the eye doctor. Do optometrists just give you the prescription or do you have to ask for it? Are you met with resistance upon asking? Can you call and get your prescription from a previous exam? Are prescriptions only good for one year the way medication prescriptions are? Thanks for any input! I just got an eye exam and ordered new glasses yesterday. I went to a local technical college, where the exam was done by a 4th year optometry student (double checked by her professor), and hence free. There was a further 10% discount on new glasses if you bought them in-house, and an €85 public subsidy. The frame was only €65, actually, so it came within the subsidy. Still, after all discounts were applied (first the 10% discount, then the subtraction of the subsidy, i.e. the mathematically most favourable approach to me), the overall bill was still €343 ($407). The kicker were the lenses rather than the frame: thinned, progressive lenses with anti-glare coating which also correct my astigmatism. I felt terribly hard done by about the expense until a friend told me that his new glasses (also progressive lenses) were coming to €500! ($590) And that was before I read Denise’s story above – £600 for one pair comes to €670 ($796). Given how much time and care the dispensing optician spent on finding the exact right focal point etc., I am not sure I would want to order over the internet. Furthermore, I am not sure whether an online purchase would qualify for the public subsidy. The dispensing optician phoned the relevant government office to make sure I qualified. So I guess I will keep paying the technical college prices. Given the price comparisons I gave above, I am not even sure they are making that much of a profit, to be honest, and I am supporting vocational education this way. But for people whose prescription is straightforward enough to make online ordering viable, it sounds like a great solution! I’ve been using Eyebuydirect.com for years with good results. Most prescriptions will not include the pupillary distance and you will need that for the order to Eyebuydirect. Usually the store that fills the order will take that measurement. Ask the doctor to do so. I saw online some horror stories on Lasik. Regarding eyeglass frames, when I was in college and had limited funds – I purchased some nice reading glasses at the pharmacy. I removed the lenses and took to the optical place to have them put in the prescription lenses. “He’d forgotten to get an eye exam. Maybe it is a brain tumor? “Or maybe it could have been Ocular/ Uveal Melanoma. A rare malignant tumor on the retina that can only be seen and diagnosed with a dilated eye exam. Usually no symptoms and there is no current cure. 50% die and you will live with diminished vision or enucleation. Yes it is rare, 2000 new cases a year in the USA, a chance mutation that has nothing to do with cell phones or tanning beds because the new cases have remained constant. I never heard of it until my 29 y.o.cousin was diagnosed. She had had a yearly dilated eye exams until her health insurance added a large deductible and raised the co-pays and premiums. The reality is that many people are no longer getting regular health care exams because they just can no longer afford it even with insurance. Most people have cut down on consumerism , they are frugal and the cost of basic health care just keeps going up. Get a yearly dilated eye exam.